I hope you all had a fabulous Weekend!!! I know mine was spent with lots of food, family, and even a little football!!! 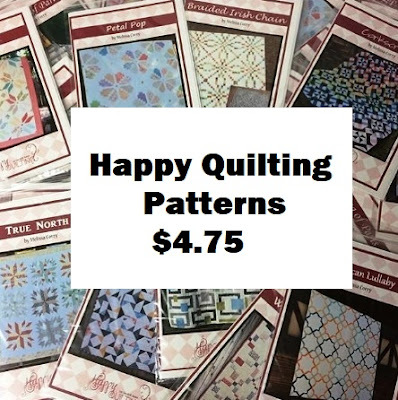 I didn't get an ounce of sewing done over the entire weekend, but I did do a little quilty shopping, so does that count ;) I am just popping in to remind you that today is the last day to get your Happy Quilting patterns on sale. 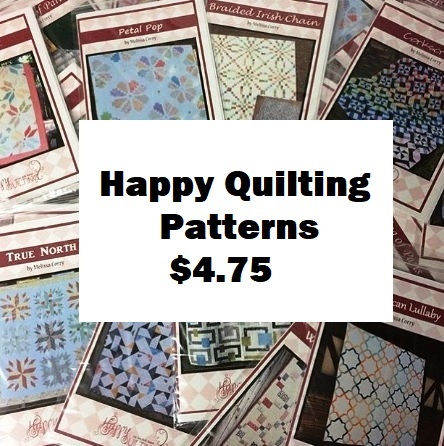 Thank you so much for all of the Pattern love you have shown Happy Quilting over this black Friday, small business Saturday, and cyber Monday weekend!!! I love being able to have this small little corner of the internet to share my love of quilting and your support makes that possible. I can not begin to thank you enough for that!!! I love that I can work from home doing the thing that brings me so much joy!! !